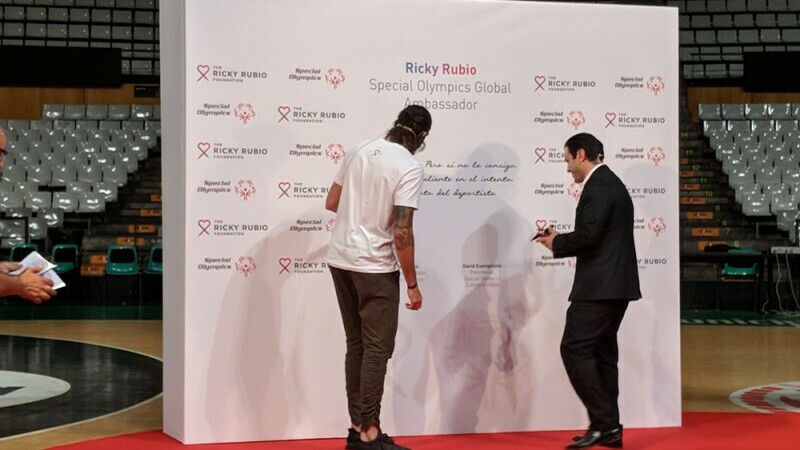 Basketball star Ricky Rubio has become the latest high-profile supporter of Special Olympics with the NBA player being unveiled as a Global Ambassador for the sport and inclusion movement. At an event in Barcelona’s Pabellón Olímpico del Club Joventut Badalona, where the Spanish basketball player began his professional career, Rubio officially signed up as a Global Ambassador. Rubio, who plays for the Utah Jazz in the NBA, will also support Special Olympics España as an ambassador. And his first act will be to support Special Olympics España’s upcoming II Unified Basketball tournament. This event takes place in Badalona, the cradle of basketball, from June 29th to July 1st. Rubio will sponsor this event which will feature 12 teams representing many regions across Spain. In total, 110 Unified players (athletes with and without intellectual disabilities), 15 coaches and about 20 volunteers and coaches will take part. Ricky Rubio, basketball star with Utah Jazz in the NBA, with Special Olympics athletes at event to announce Ricky as new Special Olympics Global Ambassador in Barcelona’s Pabellón Olímpico del Club Joventut Badalona on 19 June. Unified Sports is an integral part of the Special Olympics movement and sees players with and without intellectual disabilities become teammates. With more than five million athletes around the world in 172 countries, Special Olympics is dedicated to promoting social inclusion through sports. In Spain there are 20.000 athletes and 5.000 volunteers and coaches that participate in 25 sports disciplines. Special Olympics España together with the Fundación Joventut Badalona have promoted this second edition of the Unified Basketball tournament to ensure its continuity and deliver the enormous benefits associated with such an event. “The first edition of the tournament in Getafe during the fall of last year was a big step of this initiative born with the full will to satisfy this social need and to encourage this 'unification' at other levels of life, but especially in sport” commented Miguel Sagarra, President of Special Olympics Spain. 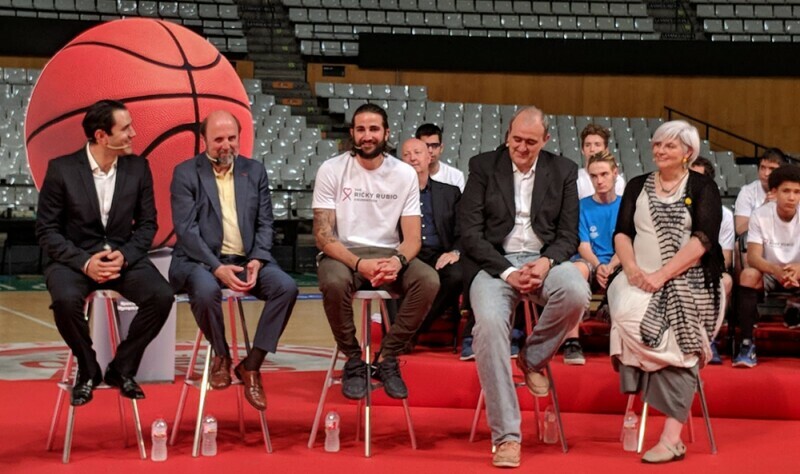 Ricky Rubio, basketball star with Utah Jazz in the NBA, alongside panellists at event to announce Ricky as new Special Olympics Global Ambassador in Barcelona’s Pabellón Olímpico del Club Joventut Badalona on 19 June. Special Olympics Spain is a non-profit organization founded more than 20 years ago as a platform of promotion of sports for people with intellectual disabilities, as a means to improve their quality of life. 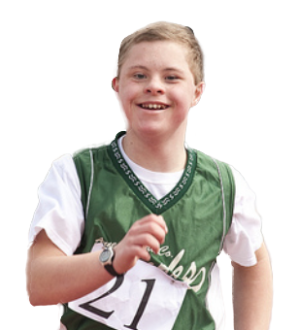 We offer several annual sports programs, giving people with ID the possibility of participating in sports activities through weekly training sessions and championships (national and international). We have currently 17 accredited programs. We have over 21.000 athletes and 5.000 volunteers and coaches that participate in 25 sports disciplines.